Digital Manufacturing Week is returning to the Liverpool City Region in November 2018 and Sensor City hosted a Liverpool City Region launch to celebrate. All About STEM Managing Director, Michelle Dow, attended as guest speaker alongside Steve Rotheram, Metro Mayor of Liverpool City Region, Nick Hussey, CEO of The Manufacturer Magazine, Sensor City’s Dr Joanne Phoenix and Erika Rushton, Chair of the Baltic CIC, winner of the Transformational Leader Award. 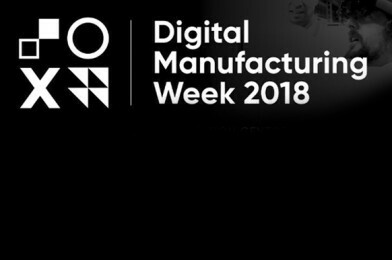 Attendees had the opportunity to learn more about Digital Manufacturing Week, discover Sensor City’s plans for 2018 and network with leading manufacturers and industry partners. – Steve Rotheram, Metro Mayor of Liverpool City Region welcomed attendees in his opening address. – Dr Joanne Phoenix welcomed delegates to the £15m University Enterprise Zone and explained how the facility can help manufacturing companies to adopt industrial digital technologies. – Michelle Dow, Managing Director of All About STEM discussed how young people can get involved in Digital Manufacturing Week and help inspire the next generation of digitally enhanced engineers. – Erika Rushton, Chair of the Baltic CIC and recently awarded the Transformational Leader Award at the Northern Power Women Awards, talked about the Openmaker programme and how the maker community can challenge the status quo of supply chain orthodoxy. – Finally, Nick Hussey, CEO of The Manufacturer Magazine closed proceedings. This year, 6000+ visitors will attend Digital Manufacturing Week at the Manufacturing Leaders Summit, The Manufacturer Top 100 report launch, and the ceremony and gala dinner for the announcement of the biggest prizes in UK manufacturing, The Manufacturer MX Awards.